"England have become very clever. They don't waste time, they quickly work out the way to go on surfaces." Adil Rashid has made himself a bowler for all situations in England's ever-improving ODI side, says Rob Key. Leg-spinner Rashid picked up 4-36 in the rain-truncated seven-wicket victory over Sri Lanka in Wednesday's third ODI in Kandy as the tourists moved 2-0 up in the series with two games to play. Key was also impressed with England's attack as a whole as they restricted the hosts to 150-9, with Surrey seamer Tom Curran claiming 3-17 after winning the battle with brother Sam and Mark Wood for the spot vacated by injured Hampshire spinner Liam Dawson. "I have seen a lot of Rashid and two years ago he was an inconsistent bowler who got wickets with bad balls but he is so confident now and knows exactly what he is doing," said Key. 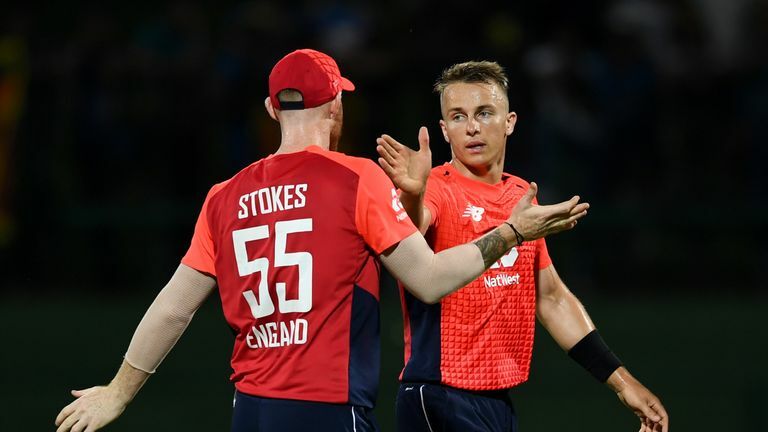 "You speak to him and he talks about how he can bowl defensively, or attacking and if England are ahead in a game that he can give the ball some air. He is not just a one-trick pony. "England have become very clever. They don't waste time, they quickly work out the way to go on surfaces. They are not waiting 10 or 12 overs just bowling length balls or pitching it up and waiting for it to swing. He has probably been England’s most valuable player in the last two or three years. He has the confidence of the captain and is the type of person who flourishes with the confidence. "[Wednesday] was about bowling slower balls into the surface, slower-ball bouncers, things like that. Back-of-the-hand slower balls from Curran and then Rashid showed his tricks." Captain Eoin Morgan (58no) and Ben Stokes (35no) saw England to victory with 15 balls remaining in the 21-over-a-side affair, the duo sharing an unbroken stand of 73 after Jason Roy cracked a 26-ball 41. Morgan has scored four fifties in his last five ODI innings, including 92 in England's victory in the second ODI in Dambulla on Saturday. "I can't remember a time, perhaps since he first came in the team, where he has played better. He seems to be calm and composed and is playing spin better than he has done for a while," Key added of Morgan, whose side are aiming for a ninth bilateral ODI series win on the bounce. "We see him out and about, in the hotels, and he is never any different. Whether England have won, lost or done anything he is always the same. "When the ball starts flying out the ground he is such a composed captain and England feed off that. He has been so impressive with the way he leads this side. This is a team on a mission at the moment. "England looked desperate to get out there and play and you can understand that - there is a lot of competition for places. "Everyone wants an opportunity to show what they can do and the people on the bench are just as good as anyone else." Watch the fourth ODI between Sri Lanka and England, in Kandy, live on Sky Sports Cricket and Sky Sports Main Event from 4.45am on Saturday.